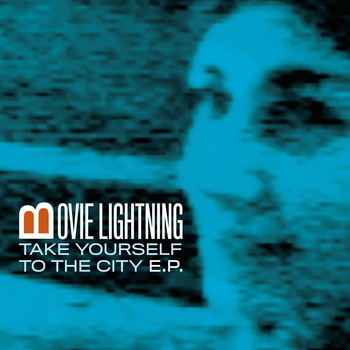 B-Movie Lightning is the solo work of Ireland native Mike Smalle. His reps recently contacted us and sent his EP which is basically a maxi single for his track "Take Yourself To The City", plus remixes by Frenchie and Linda Buckley. Digging them all! Smooth chillwave to the max. Seems he's gonna be releasing an album later this month on Micropolis Records so figured I'd give you the heads up on this talented fellow before that's released. The tracks are only for streaming (bummer), but it gives you an idea as to what he's all about. If you like what you hear you can stream/buy the EP for $3 Euros on his bandcamp page (figure that's like $5 U.S. dollars). Anyways check out the track/video for the lovely "Take Yourself to the City" below and be on the lookout for that album release soon. great stuff. Bought the album after, paid full price and it was worth it. This guy is great but does he tour? B MOVIE LIGHTNING IS A GREAT NEW DEPARTURE for Mike Smalle of Cane 141. The album is so cool. We was dancing to it on Saturday night. Yes, Mike Smalle gigs live. I saw him support the Flaming Lips once. My favourite track is 'Spooky West'. This album is so cool. Are there any concerts? not sure. check his sites i linked one/maybe contact him. cheers!